There are many Chinese people who are vegetarian because they are Buddhist but in recent years there are more and more people becoming vegetarian because they are either trying to be healthier, more ECO friendly or simply just trying to save money. As you may have noticed meat, poultry and especially seafood can be quite pricy compared with vegetables and grains. 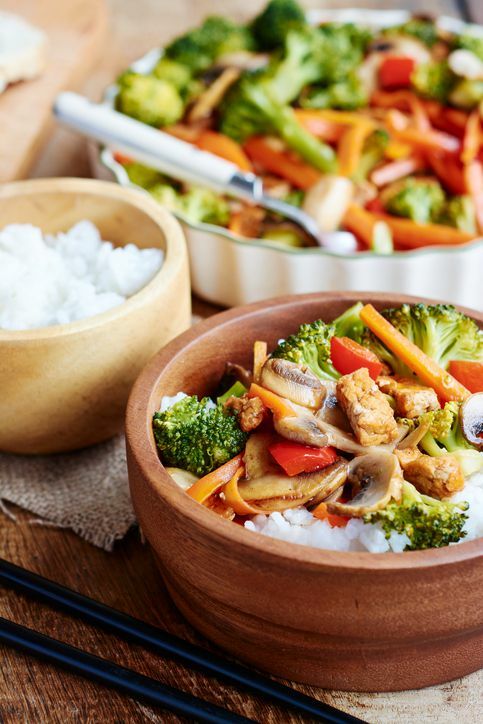 No matter what the reason for people turning vegetarian, there are so many delicious and easy to make Chinese vegetarian recipes in Chinese cuisine. So I’m sharing with you some of the most popular and best Chinese vegetarian recipes. As these recipes show, Chinese vegetarian cooking makes use of everything from tofu to seaweed for protein. This article contains many different kinds of Chinese vegetarian recipes from starters to desserts. I hope you enjoy making these. This article contained 3 different Chinese appetizers. One of the recipe is this article is for delicious Chinese vegetarian spring rolls. It’s delicious, easy to make and looks nice when serving to friends and family. Stuffed lotus root with sweet sticky rice is one of my favorite Chinese desserts. This dessert is completely suitable for vegetarians or vegans. This vegetarian dish is traditionally served on New Year’s Day. For extra flavor, vegetarian stock can be used instead of mushroom soaking liquid. Delicious and easy mushroom and bamboo shoot stir-fry. Perfect for a weeknight dinner. While Chinese bakeries and street venders sell sesame seed balls throughout the year, they are especially popular during the Chinese New Year season. For a vegetarian version, use vegetable stock instead of chicken broth, leave out the ground pork and increase the eggplant. Yummy cashews add a load of health benefits to this simple recipe for vegetable fried rice. This is a classic vegetarian Chinese potstickers recipe. You can replace different kind of vegetable as you wish. Deep-fried wontons are stuffed with mashed bean curd. Vegetarians who don’t eat egg can substitute 1 tablespoon of oil for the beaten egg. This recipe can make about 45 to 50 wontons. This vegetarian appetizer is served cold with a spicy hoisin sauce. You can replace the gelatin with agar or other vegetarian substitution.